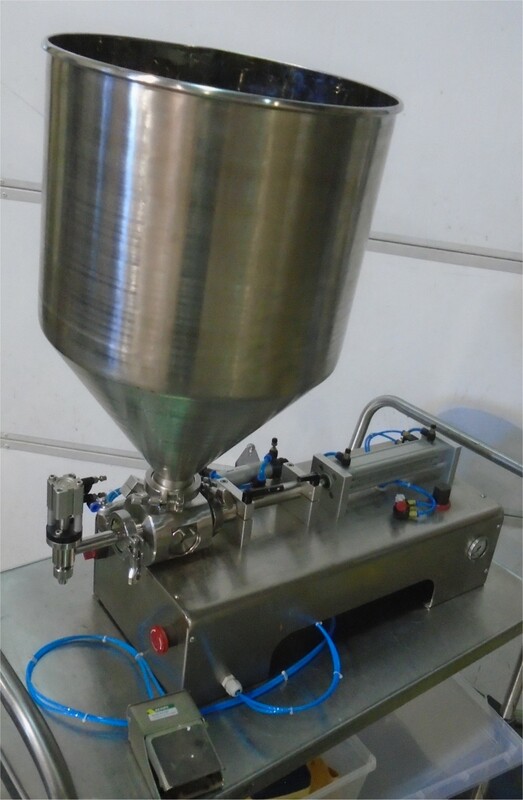 Used Table Top Pneumatic Piston Liquid Filler Model PF-200. Fill Range: approx 10-100ML. Can fill from thin to viscous cream, lotion, sauce with particulates, etc. 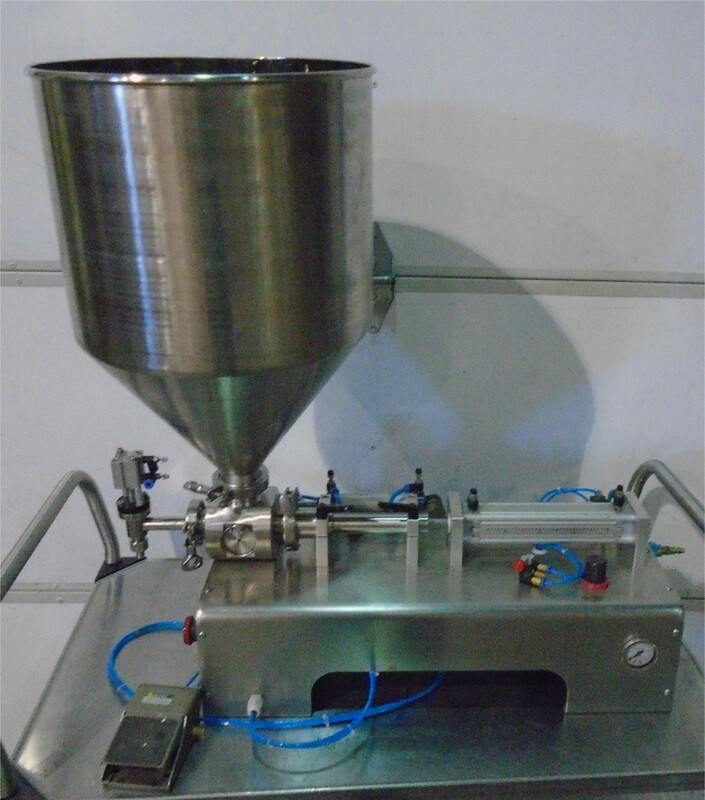 Features: 316 Stainless Steel construction and components, simple no tools required dismantling for fast cleaning, an operator footswitch, no drip fill nozzle, easy adjust fill volume control, a sanitary clamp connect change parts for quick cleaning, product metering barrel, FESTO piston drive cylinder, up to 50 cycles per minute. Accuracy: to .3%. Air requirement: 70-100 psi/ 3-5 cfm. Delivery Time: 1 week.